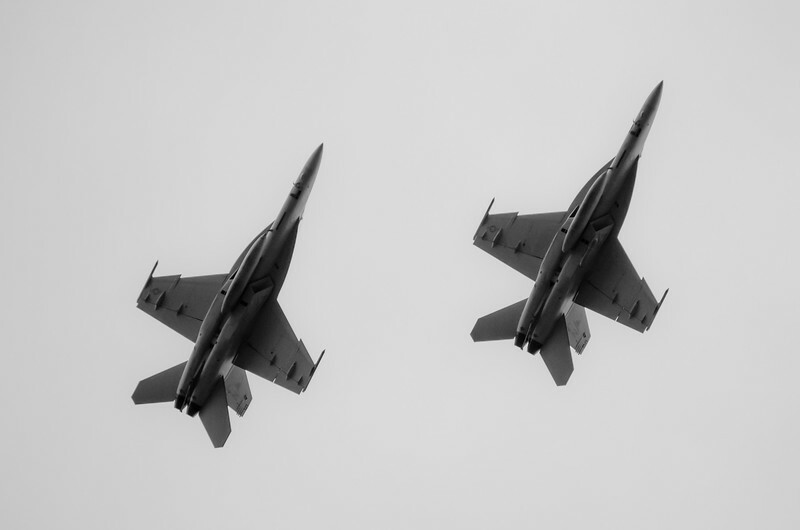 Steve & His Camera: Fighter jets! A couple more from yesterday's impromptu fighter jet circling of my crib. 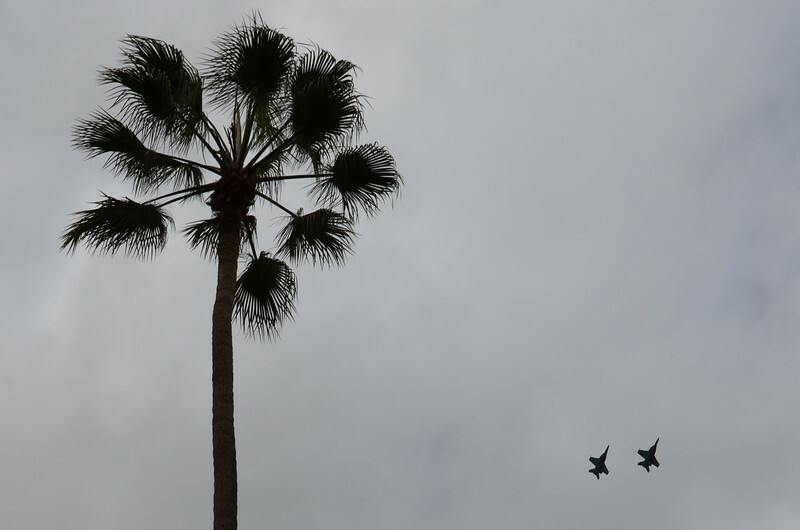 The planes were waiting to perform their flyover at the Rose Bowl before the USC-UCLA game. The top shot was taken with the planes directly overhead. The bottom was the best of my efforts to work one of the palm trees into my street into a photo. It was very cloudy; probably would have been a neater shot with some blue sky in there. Prints and digital downloads of all my work featured on this blog can be purchased (at extremely reasonable prices) on my SmugMug site. And please follow me on Twitter.